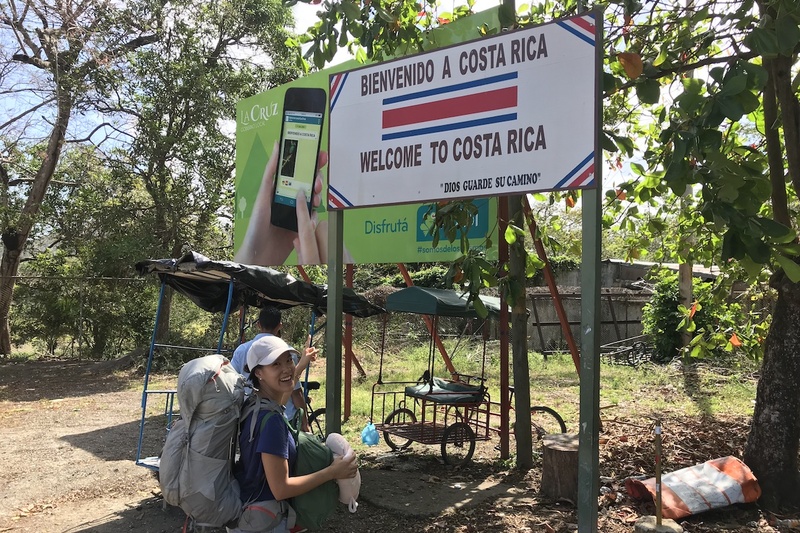 The end of February wrapped up the first month of our round the world trip, as we spent a month travelling south through Nicaragua, Costa Rica and Panama. 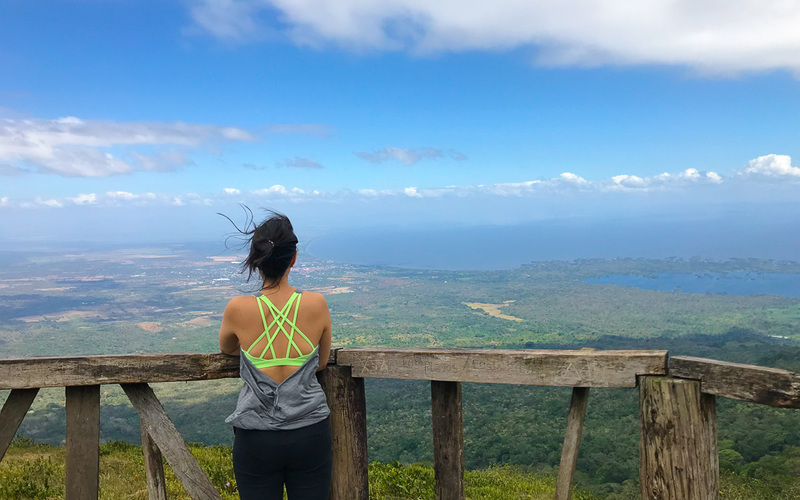 The majority of our time was spent in Nicaragua, and then we quickly breezed through the more expensive countries of Costa Rica (Monteverde, San Jose) and Panama (Bocas del Toro, Boquete). 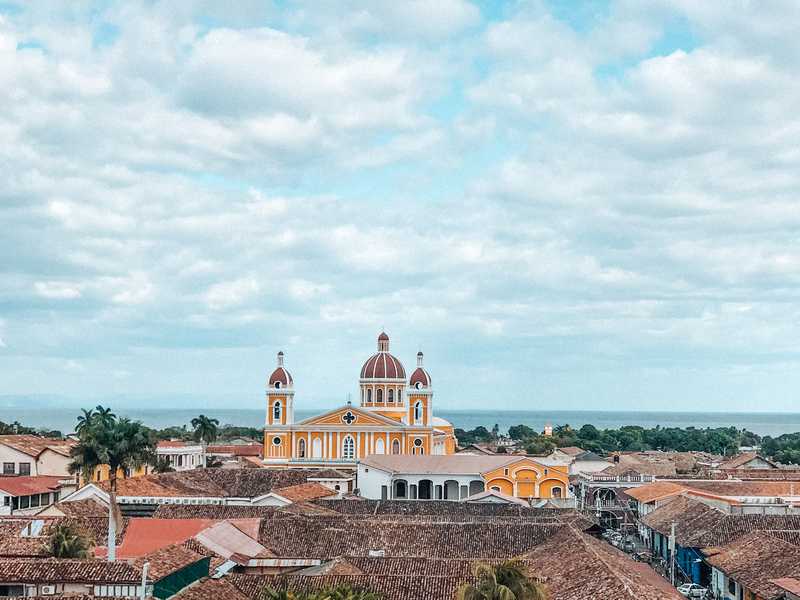 In Nicaragua, we arrived in Granada, a bustling, pedestrian-friendly city with lots of color and colonial influence, adjusting to life on the road. 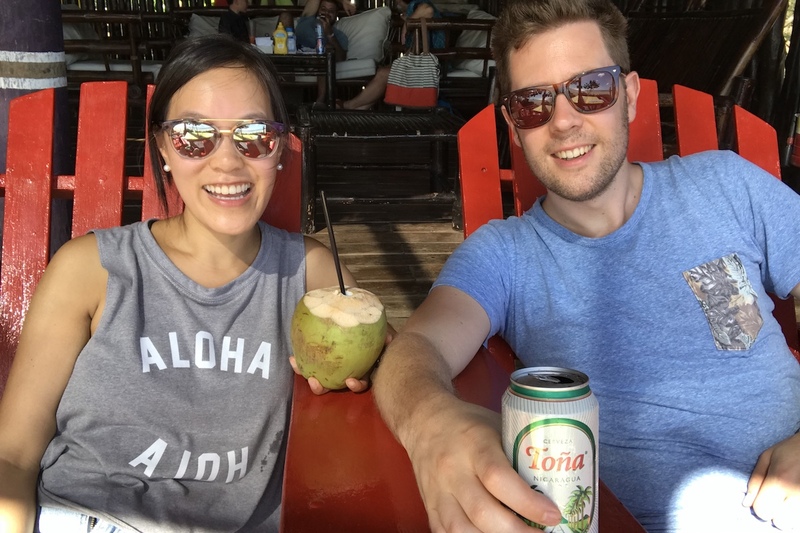 As always with travelling to a tropical country, it took us a day or two to acclimatize to 30 degree weather and a new city. But eventually, everything gets more familiar and comfortable, and soon we were zipping through the streets like it was our own neighbourhood. 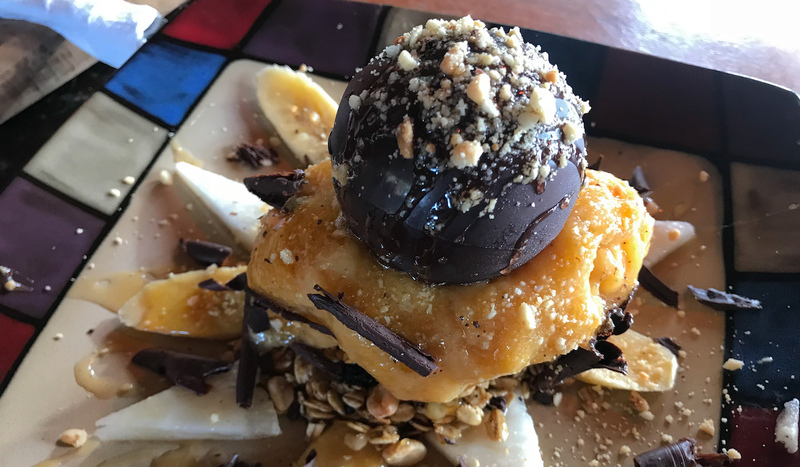 We stayed at Selina Granada, a rapidly expanding Latin American chain of millennial-targeted hostels, went on a volcano crater hike (the first of many volcano-centric experiences in Nicaragua), and took a chocolate-making class. A few days later, we took the public “chicken bus” North to Leon, where we spent a week learning Spanish. 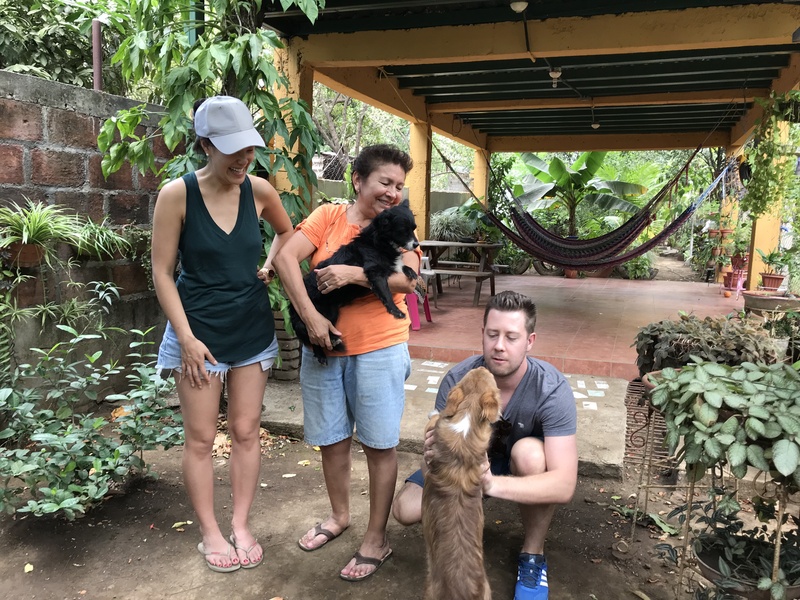 Before departing on our world tour, we felt like Nicaragua had a questionable reputation for comfort and safety, but I can personally attest that the authenticity and genuine kindness of the people we encountered pleasantly surprised us, and we tried our best to embrace their language and culture while we were there. The Spanish classes and homestay with a local family has been the highlight of our trip. We took five days of Spanish lessons, for four hours each day. Have you ever tried to learn a new language, solely being taught in the language that you don’t speak?! There was mucho pointing and gesturing. After the first hour, we got used to the rhythm of the class; by day 5 we were joking and laughing (and still gesturing) as we got more comfortable with our teachers. To this day, every time I hear the positive affirmation of “si, correcto”, I am reminded of our lovely Spanish teachers. Then there was the wonderful homestay in Leon that we booked through the Spanish school. 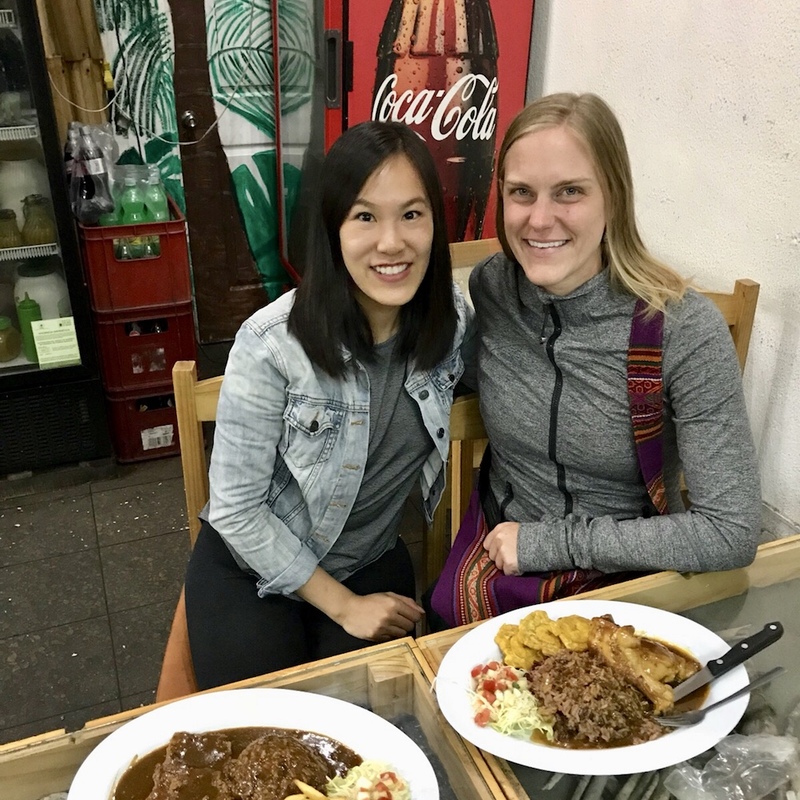 Our homestay mama made us three delicious, flavourful Nicaraguan meals a day – we authentically learned more about this culture than we could have on any tour. She sat with us while we ate (she didn’t have to!) and we practised our very basic Spanish with her, stringing together sentences with gestures to make ourselves understood. Steve and I lounged in hammocks, watched Spanish wheel of fortune, and did our homework. We stayed in a private suite above her garden, and played with her beautiful dogs. It was simple but wonderful and we were very happy here. If it weren’t for, well, the rest of the world to see, I would have been happy to stay here for longer. 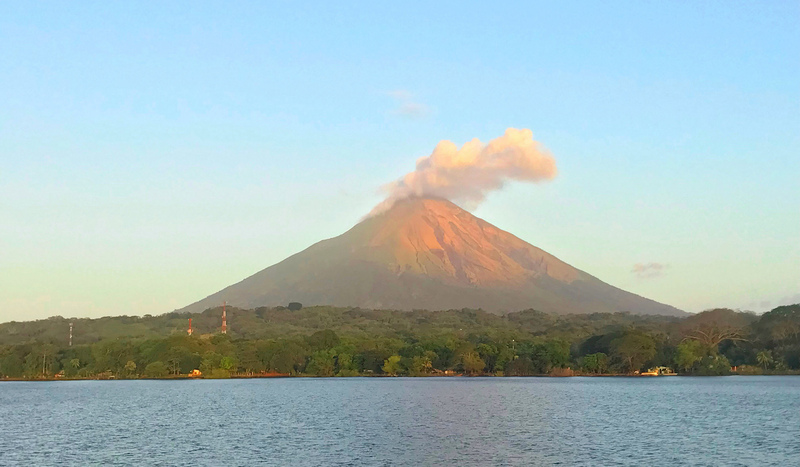 Next, a long day of bus rides South brought us to Ometepe Island, a figure-8 shaped island in Lake Nicaragua, known for its twin volcanos on either side of the island. On the 45-minute taxi ride from the ferry to our guesthouse, I sat in the front seat and slowly conversed with our driver in Spanish. That was about the peak of my Spanish, my vocabulary and ability to string together a sentence has unfortunately faded since then. Good thing we chatted with the driver for so long — Steve left his zapatos and gafas (shoes and sunglasses) in the trunk of the car. The driver was alerted and they were retrieved for us after a day. Due to the chill vibe of the island, we lazed around, went swimming in volcanic springs one day, rented a scooter to explore the island the next. 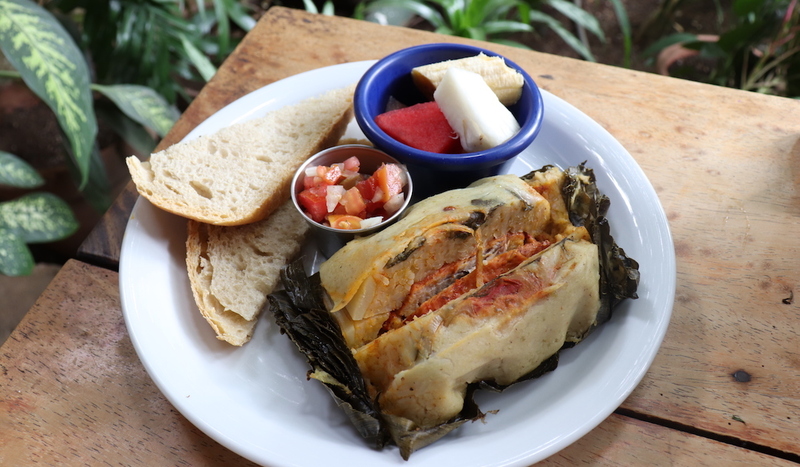 We extended our time on Ometepe one day longer: relaxing island, cheap accommodations ($20USD) and strong wifi, the perfect conditions for extending our visit. Our next stop in Nicaragua was San Juan del Sur — a town known for Pacific surf and partying. It was the most ‘Westernized’ city I had seen thus far on our travels, and reminded me of quieter Kuta Beach in Bali. 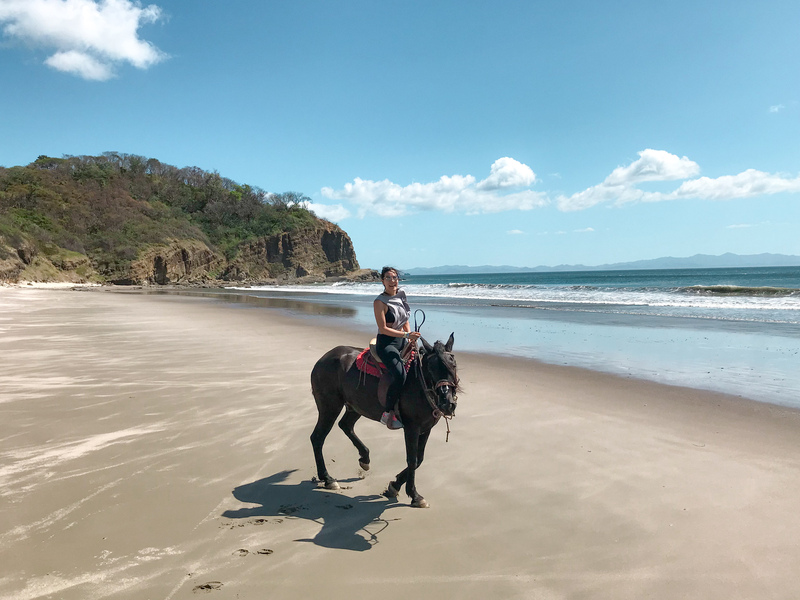 The beach in SJDR is not where most people spend their time, so we went to the private beach “Hermosa” and did some horseback riding too. It was my first time riding on a beach, and I loved the free feeling of galloping (for a few seconds at a time). Despite being a faster speed, galloping on a horse is actually much smoother than trotting which is bumpy and uncomfortable. Also, being on sand meant the impact is softer. San Juan del Sur is very close to the Costa Rica border. Feeling comfortable on our travels and trying to save money, we decided to bus our way to from Nicaragua to Costa Rica (the second country on our world tour) — taking four public busses (two in Nicaragua, two in Costa Rica) and crossing the border on foot. 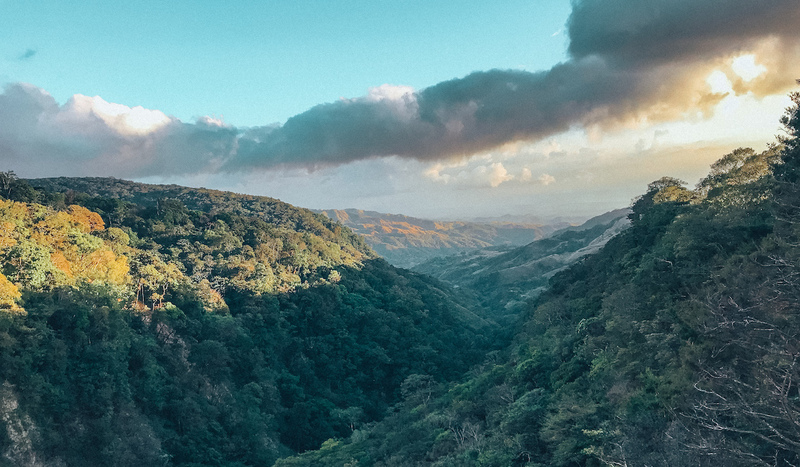 The busride up to Monteverde was beautiful — the town name is translated as “Green Mountain”. We paid $9USD per person (rather than $65USD for the tourist shuttle) a savings of $112USD between the two of us and felt like we had accomplished an authentic local experience. Monteverde was beautiful but so developed in tourism that for me, it lost its natural charm and sense of discovery. Aside from looking at the gorgeous view from the side of the road, everything was a paid and commercialized experience. Well organized, yes, but are you still getting an authentic experience when everything is laid out like a red carpet for tourists? Regardless, we enjoyed our night walk tour (saw lots of bugs), ziplining through Monteverde’s cloud forest, and coffee tour. 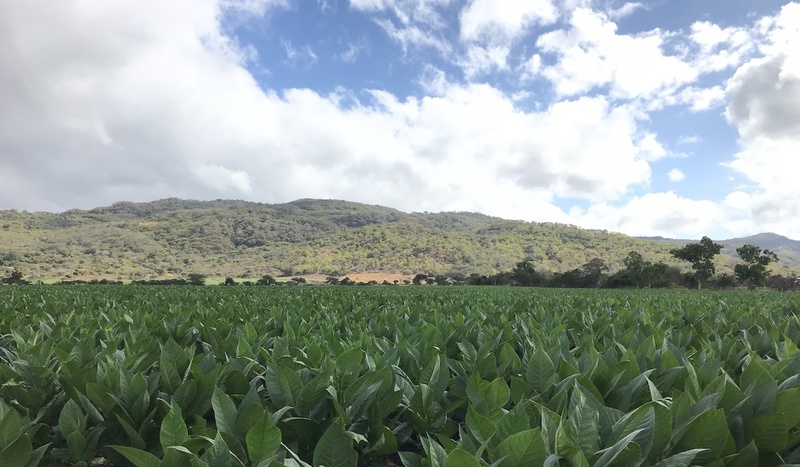 Anyone looking for a safe introduction to Central America should head to Costa Rica. It’s like Disneyland for the outdoors, or the Hawaii of the United States. We then met my friend Kathryn in San Jose who was making her way (solo travel!) North through Latin America. She is an inspiration to me and first sparked the idea in my mind a year ago that we can put travel before work, marriage, kids, and that this was the time to do it. Other places Kathryn and I have travelled to together, or met up in, include Cambodia and New York. Her boyfriend Farouk was visiting her during her travels so we went for dinner together, swapping travel stories and advice. Steve and I took an Uber to the restaurant, always a novelty as we don’t have it back home in Vancouver. The next day, we had another border crossing from Costa Rica into Panama. 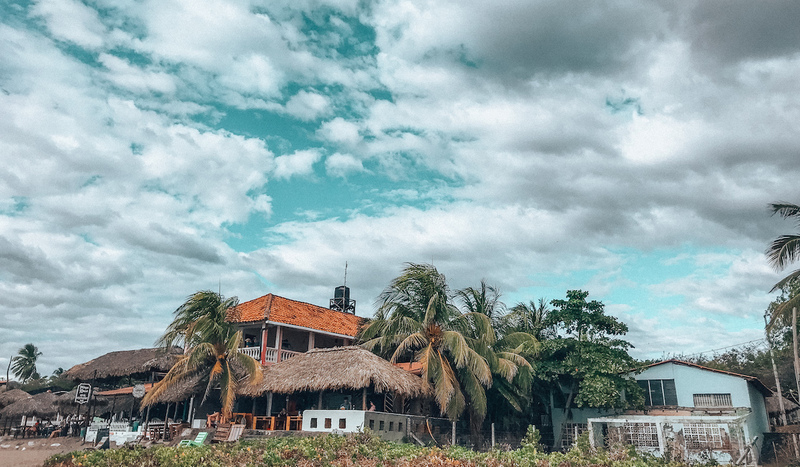 This time, we took the easy way and splurged on an 11-hour shuttle (which included lunch and ‘hand holding’ through the border crossing) through Caribe Shuttles. We stopped at a boutique resort in Puerto Vallarta for lunch — note to self, this is a Caribbean beach-side town I would love to come back to and explore more thoroughly. From other travellers, we heard there are wild sloths everywhere — I’m sad we missed them! 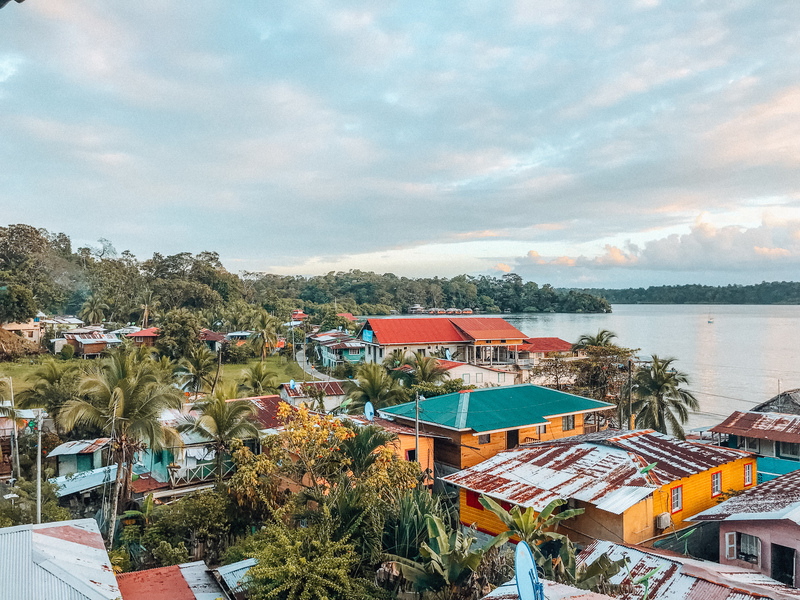 We made it to Bocas del Toro in Panama, the first familiar city on our trip. The last time we visited two years ago, I was just about to start a new job in Vancouver — and now that I’ve moved on from that same job, it’s cool and a bit nostalgic to return under such different circumstances. Returning to the same city, Steve and I didn’t have a desire to try anything new, we just went back to the same three restaurants we enjoyed last time (Up in the Hill, Om, and La Buga), and ate at them again. I guess in the midst of all this newness on our travels, we were craving a bit of familiarity! We spent the end of February in Boquete, Panama, the coffee region and outdoor recreational playground of Panama. 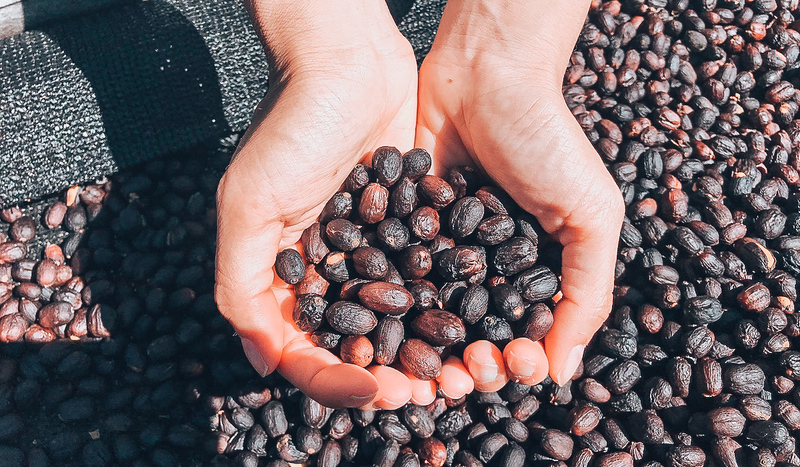 The city is a single-street community with a lot of retired expats, coffee, and outdoor activities like zip lining, white water rafting and horseback riding. 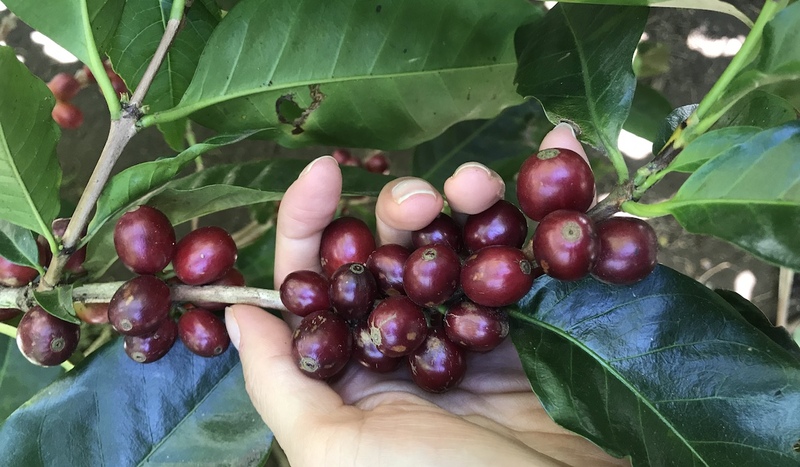 Our third-ever coffee tour (the others were in Costa Rica and Myanmar) was with Fincas Dos Jefes (translated as “The Farm of Two Bosses” — the name referring to the American retirees who purchased the Boquete coffee farmland in 2003) covered the business, ethics and economics behind coffee — an angle which was very interesting to us. 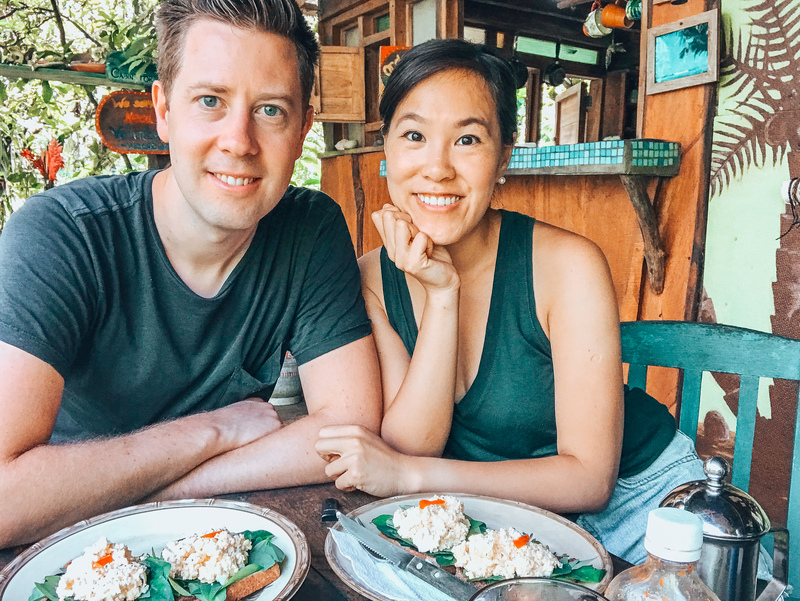 Although, it seems like we covered a lot of ground in our first short month of travels, we leave plenty of time for both rest and play, as to not burn ourselves (or our budget) out in our first month or travels. I am really enjoying our slightly slower pace of travel and continue to see local and authentic experiences in the cities we visit. 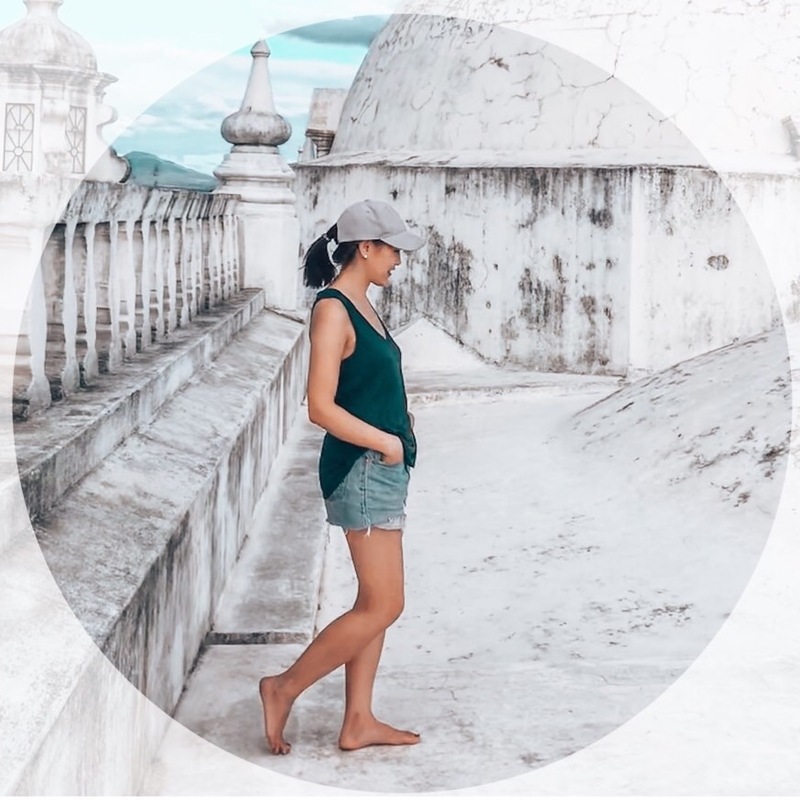 Thank you so much for keeping up with our travels reading our February reflections on Modern Mix Travel! Next destinations: Colombia and Peru! This is fascinating and the photography in this post is amazing! I feel like I was there!